Russia, Iran bear 'moral responsibility' for Syria chemical attack – US State Dept. Condemning the chemical weapons attack in Idlib province, US Secretary of State Rex Tillerson accused the Syrian government of “barbarism” and said Russia and Iran also bear moral responsibility for the deaths. “Anyone who uses chemical weapons to attack his own people shows a fundamental disregard for human decency and must be held accountable,” Tillerson said. He called on Russia and Iran to exercise their influence over Damascus “to guarantee that this sort of horrific attack never happens again,” and said that they “also bear great moral responsibility” for the deaths, as self-proclaimed guarantors of the Syrian ceasefire. 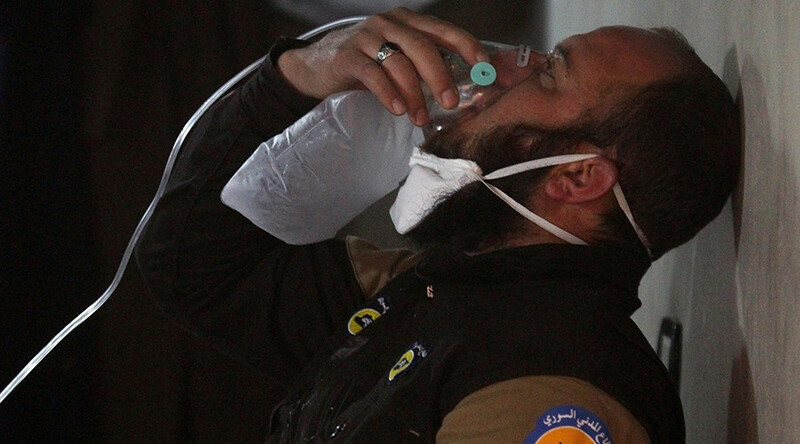 The attack on the town of Khan Sheikhoun reportedly killed 58 people, including 11 children under the age of eight, according to the UK-based Syrian Observatory for Human Rights and the US/UK-sponsored ‘White Helmets’ rescue group. White House press secretary Sean Spicer called the attack "reprehensible" and that it "cannot be ignored by the civilized world." Spicer also blamed former administration under President Barack Obama for its "weakness and irresolution." "President Obama said in 2012 that he would establish a quote-unquote 'red line' against the use of chemical weapons and then did nothing," Spicer said. Syrian opposition member and former spokesperson of the Syrian National Council Bassma Kodmani called the chemical attack a "direct consequence" of US statements on Syrian President Bashar Assad, Reuters reported. The Syrian army has denied allegations that it was behind the attack. "We deny completely the use of any chemical or toxic material in Khan Sheikhoun town today and the army has not used nor will use in any place or time, neither in past or in future," the army said in a statement quoted by Reuters. The Russian air force did not conduct any airstrikes in the Idlib Governorate. Rebels and Western governments have repeatedly accused Damascus of using chemical weapons since the beginning of the conflict in 2011. In 2012, the Obama administration said it would launch a military intervention if Assad crossed the “red line” and used gas against the rebels. Russia defused the situation by convincing Damascus to join the Chemical Weapons Convention and destroying its arsenal by 2013.